Company portrait We have been dealing with sheet metal as a material since 1981. 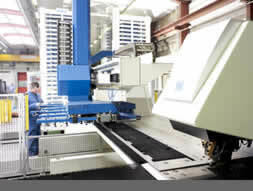 We have proven our expertise in issues of sheet metal processing and are continually expanding it. We produce for a wide range of companies in diverse sectors and have therefore amassed extensive production know-how. Modern machinery and optimised production sequences secure quality standards and the schedule effectiveness of our products. 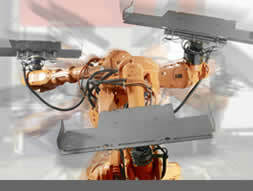 We machine a wide range of materials and can also further process them to complete products. Our company has been certified to DIN ISO 9001. This is confirmation of the quality standards we have achieved so far, and is for us a simultaneous obligation to continue doing everything in our power to offer and supply our customers with quality products and services. With the knowledge that a properly-working quality assurance system means more than simply implementing standards, we would like to assure you at this point that we are continuously working to improve our existing system. Our staff are qualified in all areas of sheet metal working, and are capable of implementing your requirements and solving your problems. They possess many years of professional experience and extensive knowledge which they would be pleased to make available to you as a client. We offer technical consultation and support. Please contact us to discuss your problems - we will surely be able to offer you a proposal. From individual production through specification drawings up to series production, from the idea up to complete production, from consultation to implementation, Glüpker Blechtechnologie GmbH is available with its entire production know-how. If you want to reduce the production depth (lean production) of your company and outsource the manufacture of sheet metal products or sheet metal processing and are looking for a strong, reliable partner, then you should talk to us. If your capacities are stretched and you have delivery problems, we would be pleased to produce for your company on a contract basis. If you are looking for an expert partner for complete production to manufacture your sheet metal products, call us. Come and convince yourself of our effectiveness and expertise in all issues to do with sheet metalworking.